April was the last formal PTO meeting of the year, and we had a big turnout--particularly parents of second graders! Thank you for coming and sharing your thoughts. We closed out the year announcing that Kristen Reale will move out of communications and into the role of co-president. A big thank you to Kristen after four years in that role! She will be working with Amy Crilly, who will be moving into her second year in that position as I step down. Joanne Biemer and Marguerite Roza have agreed to another year as co-VPs of finance, while Grisel Robles-Schrader is stepping down from co-VP of communications (thanks, Grisel, for all your work getting us up-to-date on the website!). That means we have two positions on the executive committee to fill. Communications is a great role for working parents or those with young children due to the relatively flexible hours required to draft the enews, update the website and Facebook page, and communicate with room parents. Please reach out if you are interested! Being co-president for the past two years has been truly rewarding. I have seen first-hand what a great school we have. Our new school administration is tireless, creative, responsive, and a pleasure to work with. Our parent volunteers are some of the most dedicated people I have met--to the school and our kids--while also being friendly and hard working! I hope you will join me at the end-of-year party for volunteers at my house on Monday, June 3. Look to the enews in late May for more details. Click here to record your hours (if you didn't originally volunteer via SignUp.com! See Letter from the Presidents (left) with ALL events for the rest of the school year. Please sign up to help today! 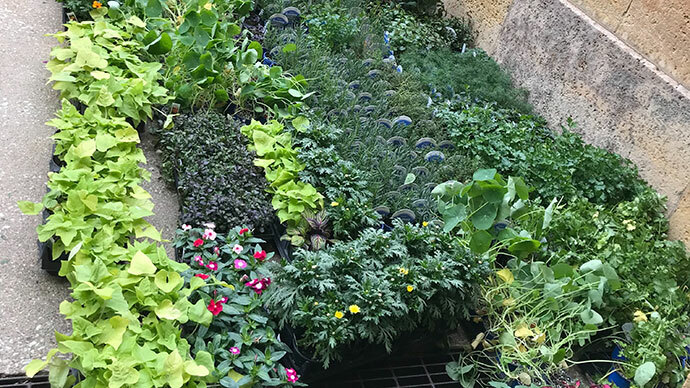 Thank you to everyone who purchased flowers and plants through the Mother's Day Plan Sale to support the Outdoor Classroom. You will be contacted about pick up/delivery information in the coming weeks. THANK YOU to our room parents! Birthday Book Club is a way to celebrate student birthdays while building our school library. For a small donation, students are invited during their birthday month to participate in a special pizza party during which they can select a new book to be presented to the school library. Volunteers are needed to organize attendees, oversee donations, and run the lunch. Volunteers in this committee coordinate with Anderson’s Bookfair Company to sponsor a school book fair and organize an in-store fundraiser with Magic Tree Bookstore. 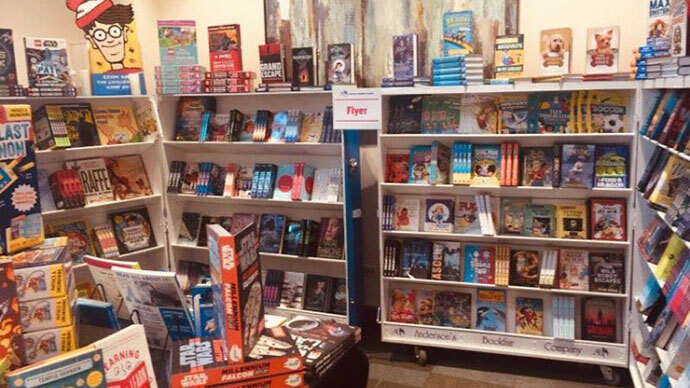 The book fair is held in conjunction with the parent-teacher conferences in October and potentially again in spring. The in-store fundraiser occurs at the end of the school year. Volunteers are needed for publicity, set-up, collecting teacher wish lists, sales, finances, and clean-up for the book fair. What better way to get an introduction to a new school than from a current student and family?!? Through the Buddy Family Program, the PTO will pair each new family with a current family who will provide a personal welcome, answer any questions and offer advice on the best ways to become acclimated with the St. Giles School community. The Program organizes an ice cream social just prior to the start of the school year as an opportunity for new families to meet one another, some current families, and St. Giles staff and leaders. Over 20 activities take place during this special event for families, students, and teachers. Catholic Schools Week occurs the last week of January and is important in growing school spirit. 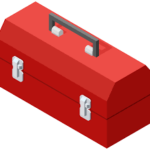 Volunteers are needed to publicize the week, decorate the school, coordinate family events, create teacher goodie baskets, and organize buddy lunches. Volunteer opportunities are available in the day, evening, and weekend hours. The Diversity and Inclusion Committee is committed to bringing relevant and innovative diversity programming to St. Giles School. 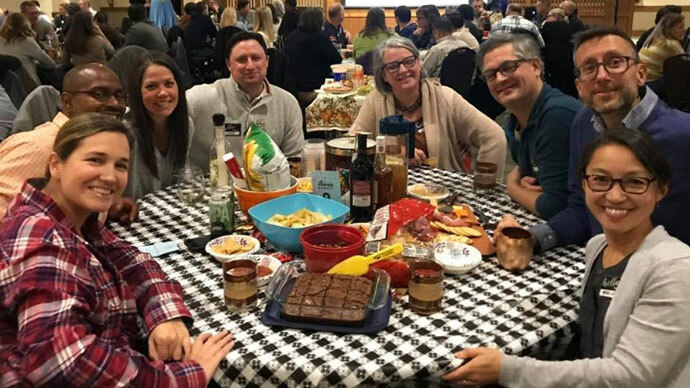 The Faith & Family committee works to foster participation of students, parents, and teachers in the parish’s spiritual services and events, such as Great Grade Masses, Faith On The Go, and service opportunities. Volunteer hours are very flexible. The Fun Lunch committee organizes special student lunches to be delivered from local restaurants, twice a month. Volunteers for this PTO fundraiser help select meals, purchase food, organize volunteers, and distribute orders during the school lunch period. Volunteers for this committee organize and provide food and refreshments for events such as Welcome Back Coffees, teacher luncheons, and meetings. Room Parents in each class work together to plan, run, and solicit volunteers for the classroom Halloween party, Valentine party, and year-end picnic per the teacher’s specific requests. Click here for a list of roomparents. If you need more information about room parents, please contact Kristen Reale. Volunteers meet weekly to support staff with specific tasks such as laminating projects and re-shelving library books. This committee gathers donations of used uniforms and spirit wear and arranges opportunities for returning and new St. Giles families to purchase the clothes at a discounted price. Sales are a PTO fundraiser and community outreach. The Variety Show is an annual talent show at St. Giles run by parent volunteers. Assistance is needed with auditions, rehearsals, and the production of the show, which is held in May. Volunteer efforts occur during school hours and some evening hours. This committee recognizes and fosters the relationship between good nutrition, physical activity, and positive educational outcomes among our students. 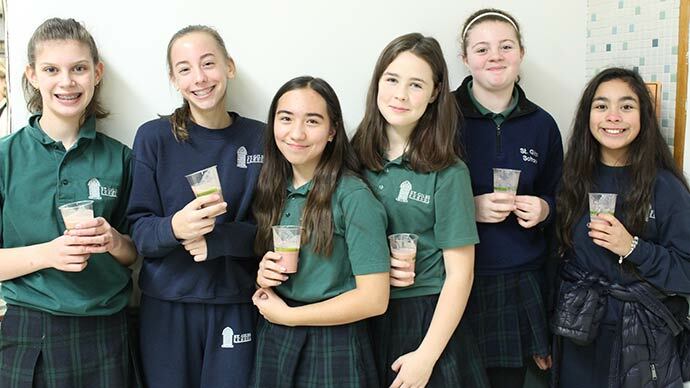 Volunteers help with the Outdoor Classroom, monthly smoothies, Giles Miles, nutritious snacks at Lion’s Leap, yoga enrichment, Zero Waste recycling initiative, and the Spring Plant Sale. Children may sit with their parents, but no hospitality will follow.